Until yesterday, Lu Wei ran China’s Internet. Apart from a few years helping to manage the terribly-managed Beijing municipality, Lu’s career had been as an administrator and sometime editor at Xinhua. Two decades ago, there was little to indicate that Lu Wei would be China’s social media czar. At that time, Lu was in charge of superintending news coverage in Nanning, the capital of Guangxi province. Then, after less than a decade doing that job, he was suddenly helicoptered to Beijing. Lu’s promotion to Beijing’s inner circles was probably due to the fact that he wasn’t a major political striver from a large city, but someone from far and away, who came to the attention of visiting dignitaries by the way he made sure that reports of deeply entrenched political corruption in Guangxi were relayed to officials but not part of the regular local news cycle. It also didn't hurt Lu’s career that he reportedly organized a special news team to trumpet then-Premier Wen Jiabao’s efforts to reach out to the poor and downtrodden there and elsewhere in China—or at least got credit for doing so. Lu’s overall job in Nanning was to regulate what was reported, and he did so with a clear zest for control then, and since—on the one hand, insisting that control of the Internet was China’s sovereign right and on the other, seeking to export China’s model of social media management to other countries. 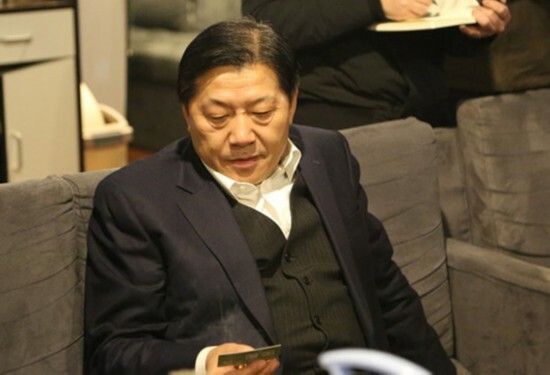 Lu Wei is one of those cadres who many foreigners find impressively urbane, and mistake for one of the faces of The Newest Version Of New China. He wasn’t one of the faces so much as the force—the fulcrum really—by which the current leadership seeks to supervise society by looking to supplant dynamism with stability. Lu didn't attain his position and his power because he was open to the outside; he achieved influence and authority because his vision of a tightly-controlled cyberspace was what Beijing believes to be the best way to run China’s post-modern state. He mastered his masters’ voice. Much of the follow-up reporting has speculated about why Lu Wei is no longer in charge of China’s Internet. Some think that Lu Wei was pushed out because the agencies he managed may have been riddled with corruption; the Central Committee’s Discipline Inspection Commission recently concluded an inspection tour that, among other targets, investigated some of the departments that Lu oversaw. Government bureaus that have something to do with media—presenting the Party line, placing statements in cyberspace, regulating resistance to what Beijing wants--has long been a place where at least the scent of sleaze lingers. That’s not to assume that Lu succumbed; only that he had already been rebuked for not doing the best job delivering Xi’s message, and perhaps the Commission’s report showed Lu as better at deleting posts than promoting the Party and expunging corruption at the same time. The fact that the announcement of Lu’s removal occurred on the very eve of the 95th anniversary of the founding of China’s Communist party is also noteworthy. His exit is major news, and signals dissatisfaction at a moment when there should be back-slapping. Others have wondered if Lu’s departure heralds a change of policy by President Xi Jinping, to something of a less draconian oversight of the media. From what we know about Lu's successor, that's unlikely. Indeed, given Xi’s attitude on such matters, Chinese society can expect to see more control of social media in the coming months, leaving some of Lu’s would-be mates still stuck running in circles. Likewise, some local officials weren’t pleased with the autonomy that Lu and his allies erased where their own oversight of the Internet was concerned. The political recentralization that has been the hallmark of the Xi leadership hasn’t sat well with provinces and cities looking to tackle unemployment through innovation and other start-up initiatives. Policies that compel potential foreign investors to look outside of China’s provinces because their best hope of a reliable Internet connection is a VPN through Bulgaria also don’t help localities that look for new ways of economic growth. At least one middle-ranking cadre in Jiangsu was stunned to find after an official trip abroad that other nations’ regulation of cyberspace was almost nonexistent compared to China’s. He’s probably more hopeful today than he might have been the day before yesterday--and he and his like-minded comrades surely must have made their unhappiness known in the past months. The circumstances that led to Lu Wei’s exit aren’t clear in these early days. Some local governments will see Lu’s removal as a temporary victory that they hope will lead to less supervision of cyberspace, but the central leadership may well be hoping for even more oversight. That disconnect at least doesn’t seem to be going away.